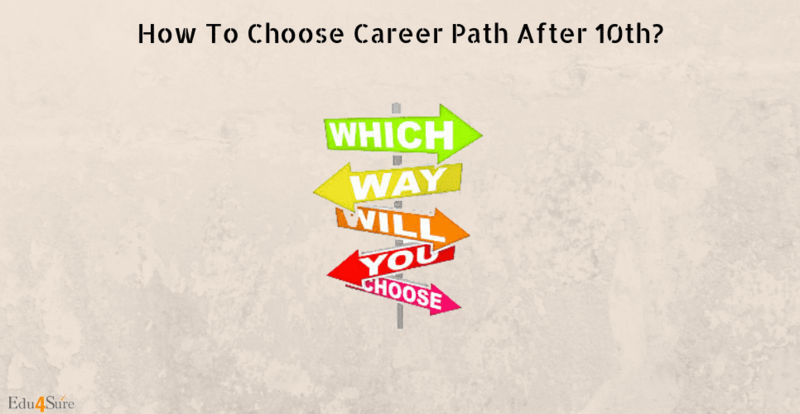 Home Career Planning 10th How To Choose Career Path After 10th? How To Choose Career Path After 10th? Soon after you are done with your Board exam, that question hits you like a truck. It brings along a state of bewildered confusion and some anxiety. Meanwhile, the thought of results doesn’t let you sleep already. All these thoughts run in your head and you end up choosing a stream according to them. Well, for a rare set of people it works out, but most often it leads to regret over the decision, frustration for the subjects that go over your head and distress because you feel like you have failed. Know your skills – Before you take any decision regarding your career, you must identify your skills, strengths, and weaknesses. Make a list of what interests you and what doesn’t. This makes it easier to eliminate and select options regarding your stream. Do your research – It is very important to be aware of what options are available for you. Of course, there are plenty, but you should be familiar with them. It will only broaden your outlook and change your mind about cliché careers you have been hearing all your life. There is a lot more than that. Seek help – Discuss your problems with parents, teachers, other elders and most importantly your seniors. They will guide you according to their experience, but it is you who has to understand what is being said and take a decision of your own. Career counseling – You must visit a career counselor to make the right decision by using scientific help. It will help you explore careers and make a plan. Maybe even a backup plan with respect to your hobbies and other fields of interest. Do not burden yourself with parental or peer pressure. It is you who has to study, you will be the one who will work ahead, not your uncle who asked you to become an Engineer. Be very careful, because you learn the basics of your career right after 10th. It does make a difference. Sometimes when you get the so-called “good grades”, people ask you to take the science stream. Mediocre grades lead you to the commerce stream and falling below that, means the arts stream, of course. Well, that is certainly not a way to choose a stream. Science – Most parents want their children to pursue science because it provides a variety of lucrative job opportunities. Most students are not aware of the variety, and hence, miss out on them, also by using the wrong choice of subjects. The advantage that the stream provides is that, one can jump to the stream of commerce or arts later on. If that happens, the student misses out the basics and has to work harder in the next choice of subjects. Commerce – After considering science, we think of commerce. It is a stream that includes subjects like, accountancy, marketing, economics, business law and so on. One can jump to arts in case of difficulty, but the problem stated above will be faced. Miscellaneous – You can also choose to work right after you complete your 10th. There are government jobs and private sector jobs as well. There also an option of distance education wherein, you can balance your studies and work together. Another underrated option is diploma and certificate courses. Please remember to look for the right Board. (CBSE, ICSE, IGCSE, IB and State Board). According to your career plan, you will have to choose a suitable board for your studies. (For example, NEET is conducted by the CBSE Board and hence, students studying for NEET under CBSE are likely to benefit because of the syllabus structure). Do not get carried away by what others say. Believe in what you want to do. Don’t worry if you have already made the wrong choice, it’s never too late. You can start again. Make the best out of your life by contributing in your field of interest. Previous articleHow To Control Peer Pressure? Next articleWhat Is NLP And How It Can Help Employees? I am talkative and have a keen interest in writing as I talk. You may find Hinglish in my writing style. I am here to share knowledge!